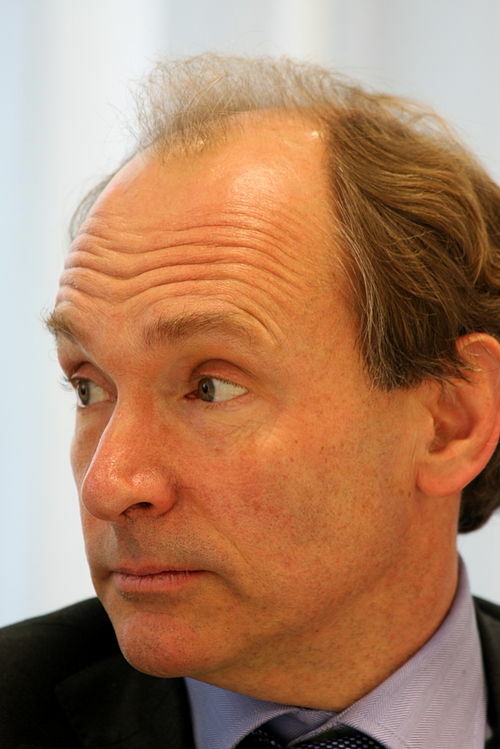 Even if you can’t name the inventor of the World Wide Web (It’s Tim Berners-Lee! ), you’ll probably want to celebrate one of the information network’s most important milestones. On August 6, 1991 — 21 years ago — Berners-Lee published theworld’s first website from a lab in the Swiss Alps. The site, originally found at the clunky URL “http://info.cern.ch/hypertext/WWW/TheProject.html,” was updated frequently after launching; therefore, images of its earliest versions were never saved. Nevertheless, a later copy from 1992 is still preserved and welcoming visitors. The bare-bones website was created, appropriately, to explain the World Wide Web to newcomers. “The WorldWideWeb (W3) is a wide-area hypermedia information retrieval initiative aiming to give universal access to a large universe of documents,” the site reads, going on to explain how others can create their own webpages. For a start we would like to restore the first URL - put back the files that were there at their earliest possible iterations. Then we will look at the first web servers at CERN and see what assets from them we can preserve and share. We will also sift through documentation and try to restore machine names and IP addresses to their original state. Beyond this we want to make http://info.cern.ch - the first web address - a destination that reflects the story of the beginnings of the web for the benefit of future generations. Feel free to browse through the site. It is being used by the restoration team to document resources, ideas and leads. Berners-Lee first proposed his idea for a worldwide network of computers sharing information in 1989, while he was working at the European Organization for Nuclear Research (CERN) in Geneva, Switzerland. According CERN’s history of the first website, it was written on a NeXT computer (pictured below), made by the company Steve Jobs founded after his ouster from Apple back in 1985. The NeXT computer used by Tim Berners-Lee in 1990 to create the world’s first website. Berners-Lee’s site went live in 1991, and was accessed by a decidedly small audience of fellow CERN researchers. It wasn’t until 1993, when web browser Mosaic was released, that the Web took off, as Kacharagadla explained last year. During the opening ceremony of the 2012 Olympics, the inventor of the World Wide Web was honored with a musical number and an appearance in London’s Olympic Stadium. However, Meredith Viera, commentating for NBC in the U.S., admitted she didn’t know who the British Internet pioneer was. (Kind of embarrassing, no?) But maybe she’ll take a moment to honor the first website, now that she knows.